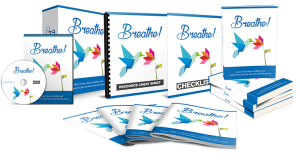 Our new products available this week include how to manage your stress and live a happier life and how to create a more responsive email list. This code will be valid only through July 27, 2016. This week’s free download is a classic novel we all love called, Little Women. This heartwarming tale is written by Louisa May Alcott. Q: Who is a gambrinous? Who was originally cast as Helen (played by Jamie Lee Curtis) in the movie True Lies with Arnold Schwarzeneggar? Many were considered but one person was actually chosen then had to turn it down because of another role. Reignite Your Passion – Do you remember the passion and excitement you felt when you first started your online business? Along the lines, your passion might be dwindling but you can get it back. Go back to the beginning. Write down why you started your business. Why did you choose the business you have? What has this business done for you? Dig down and remember the reasons for all you have done. Take a break and let yourself become re-energized. Don’t let your business takeover every part of your life. Your business should be a part of you but not the “whole” you. Learn some new things and feel that old excitement come back to life.